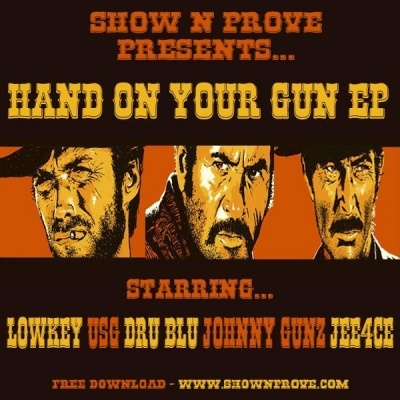 Show N Prove has rustled up an EP based on the Hand On Your Gun track he made for Lowkey's Soundtrack To The Struggle, in which he takes aim at weapons developers*. Unconvincing tough guy Johnny Gunz, Dru Blu, USG and Jee4ce all get to spitting, and there's even a remix from Scharkz for good measure. And if you haven't seen the video to the original, get to watching here.